Heart to Heart Diamond Crystal Ring Only $2.99 SHIPPED! You are here: Home / Great Deals / Amazon Deals / Heart to Heart Diamond Crystal Ring Only $2.99 SHIPPED! Oooh, check out this REALLY pretty ring! 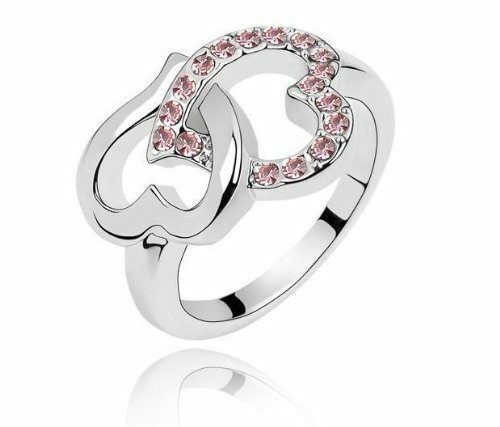 This Heart to Heart Diamond Crystal Ring is priced at just $2.99 with FREE shipping! I think this one is SO pretty! I love the hearts and the pink crystals! I’m pretty much a sucker or any piece of jewelry with pink crystals! I’m going to treat myself and get this one!